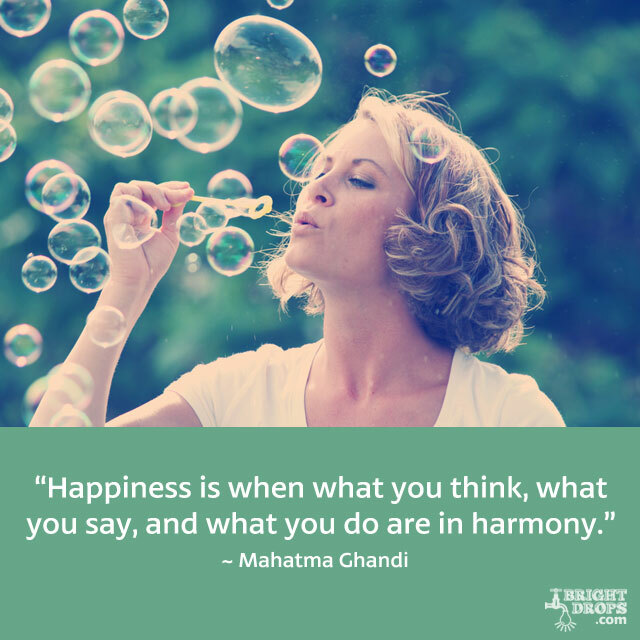 These happy quotes are sure to get you whistling a tune as you stroll through your day with a smile on your face. Use them as a way to start your day, or refer to them anytime you feel your good vibes being shaken. It’s true that these two feelings are mutually exclusive, you just can’t feel one way while feeling the other. 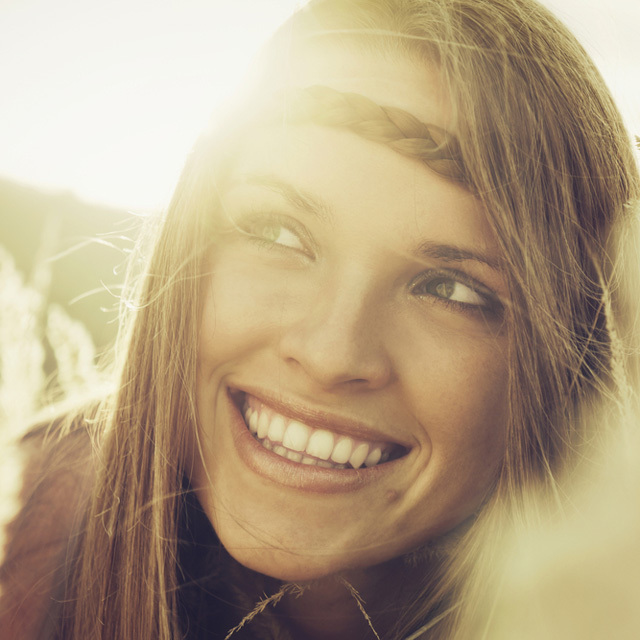 That’s a big reason to lean towards being happier more of the time. 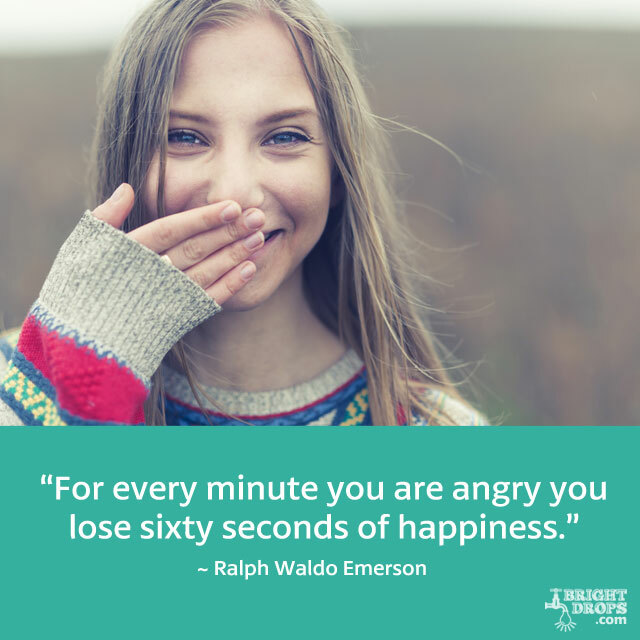 It can be nearly impossible to go from angry to happy, so you’re just looking for the thought that eases you out of your angry feeling and moves you in the direction of happiness. It may take a while, but as long as you’re headed in a more positive direction you’ll be doing yourself a world of good. This is a great way to sum up the feeling of happiness, it’s when everything feels like it’s clicking, and it’s all in sync. When any part of this equation breaks down, you start to lose the handle on your happy feelings. That’s why it’s important to always speak your true feelings, and act according to the way you’re feeling inside. Going against your internal system for guidance is a sure way to feel less than perfectly happy. Always strive for a lining up of these three aspects for a happy life. 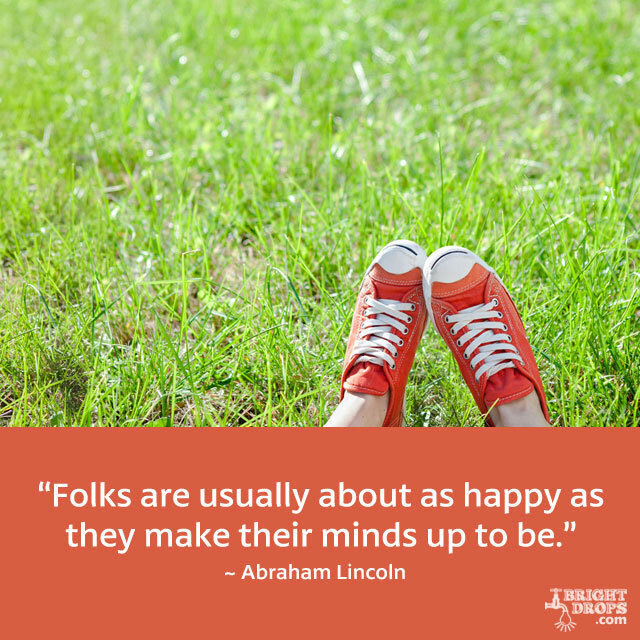 Truer words were never spoken, and Lincoln nailed it on this quote on happiness. It’s just a matter of making up your mind to be happy, and then from there never look back. Life is like a buffet and there are all sorts of things you can focus on. Some will make you feel good and others will make you feel bad, but the choice is yours as to which ones you want to give your attention to, and where you set your mood. Realizing that you hold the key to your own happiness, and that’s it’s just a decision away can be a real breakthrough. You can find a lot of peace and harmony in this quote, or it may spur you to be a better and happier person. If your friends list has been receding as the years go by, it’s time to work on getting back in touch with old friends or making new ones. And if its been more tears than smiles lately try turning that around so that you start to accumulate more happy memories and less sad ones. This is what you’ll be measuring your life on later, not by a number or how much money you made. Anyone still wondering what the point of life is just has to read this succinct by accurate quote. Your own happiness is the number one concern for you, and you should go after it with reckless abandon. We weren’t put here to suffer or be sad all of the time. Sadness has its place, as without it we wouldn’t know what it’s like to be happy, but our main purpose, the one that trumps all others, is just to be happy while we’re here on Earth. The rest falls into place when you just focus on being happier. 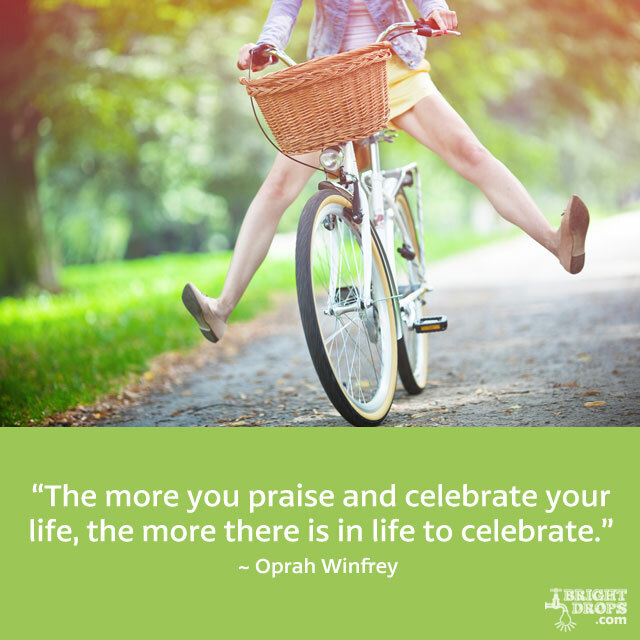 What better reason to praise your own life, and celebrate that it’s here and happening right now? But the fact is that when you put out the energy of being grateful and happy to be alive, more things will come into your life that will make you want to put out even more of this same energy. The opposite is also true, if you complain about things in your life and don’t find anything worth celebrating, you’ll notice that you’ll get more things to complain about and fewer reasons to cheer. So start today to find something to be thankful for and to celebrate. 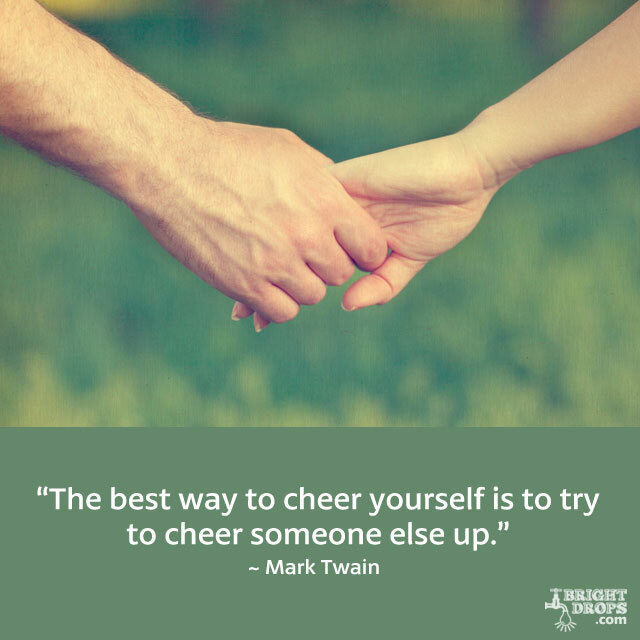 Instead of looking for others to cheer you up, try cheering them up. In that act you’re actually going to find your own spirits lifted. It’s a way of increasing exponentially the amount of happiness in the world because once you boost them up you just never know who they’re going to cheer up. It’s a way of paying it forward, and not only will it make you happier, you’ll have a greater sense of peace, calm, and wellbeing knowing that you made a difference in someone else’s day. 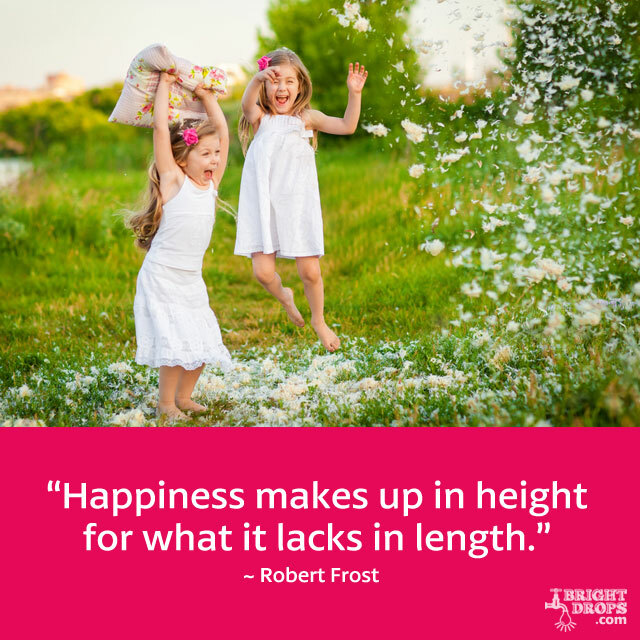 Moments of sheer happiness may not be long-lived, but this quote reminds us that it doesn’t matter how long it lasts, because the feeling is so great that it has a residual effect and is worth experiencing. There’s really no limit to the amount of happiness you can experience, as long as you keep it your intent to feel happy each day. Don’t ponder how long your happy feelings will last, just always strive for the next happy thought, and the next, and the next. Eventually the universe will conspire to keep those thoughts going. 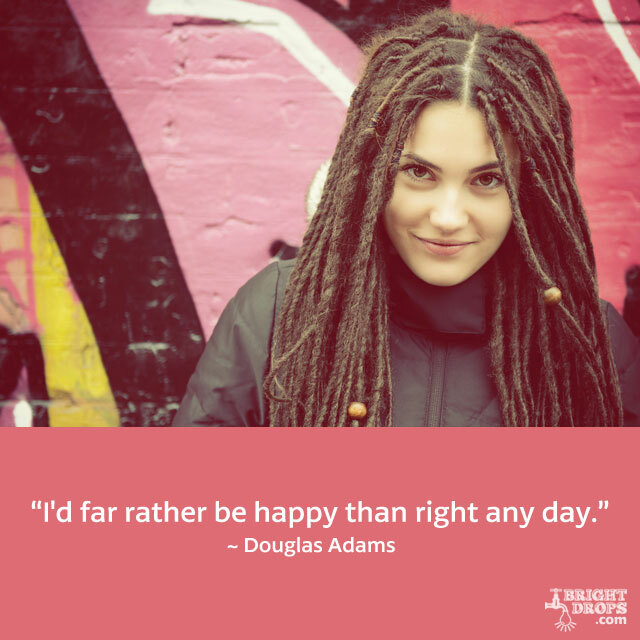 Even though being right might feel good for a little while, here he’s saying that he’d prefer to be happy than to be right but miserable. How many times do we get caught up in silly arguments that can wreck our day when really it doesn’t matter who is right or wrong. It’s OK to put your ego aside and just let someone feel the way they do about a subject, even if it’s not right in your book. Let them off the hook and you’ll immediately feel better, forget why you were fighting, and go back to being happy. 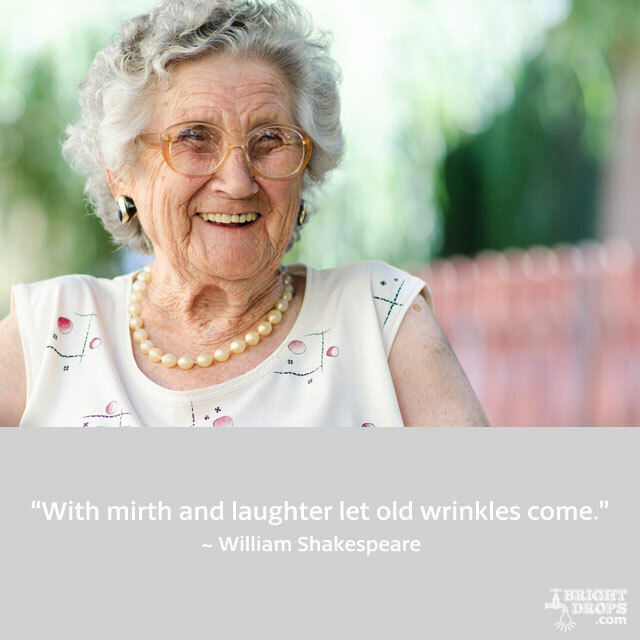 Shakespeare has a way with words, and this is a quote that will help all of us age gracefully. Who cares if we get old, as long as we’re having a merry time along the way. 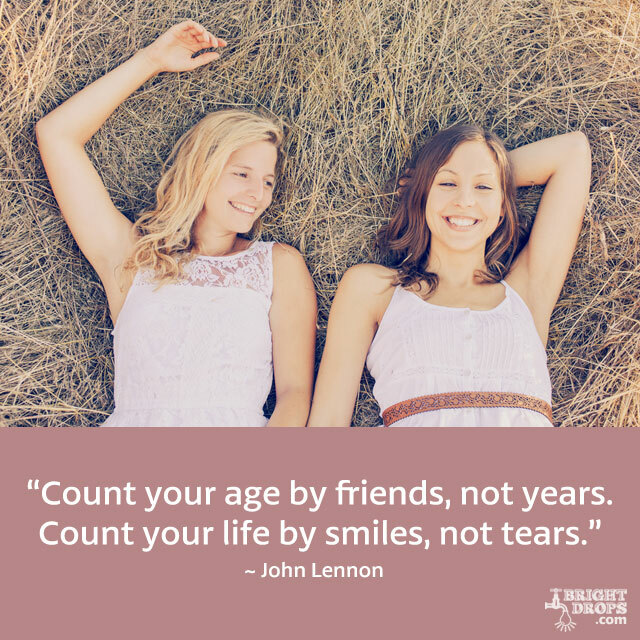 The trick is that the more you’re amused by and enjoy life, the more life you’ll have and the slower you’ll age. Lighten up, take it all in, and enjoy the ride and come what may, wrinkles and all. Today we’re so fixated on anti-aging creams and appearances that we forget the real purpose of life and get caught up in the details. Here’s a quote that is really true when you boil it down to its simplest parts. 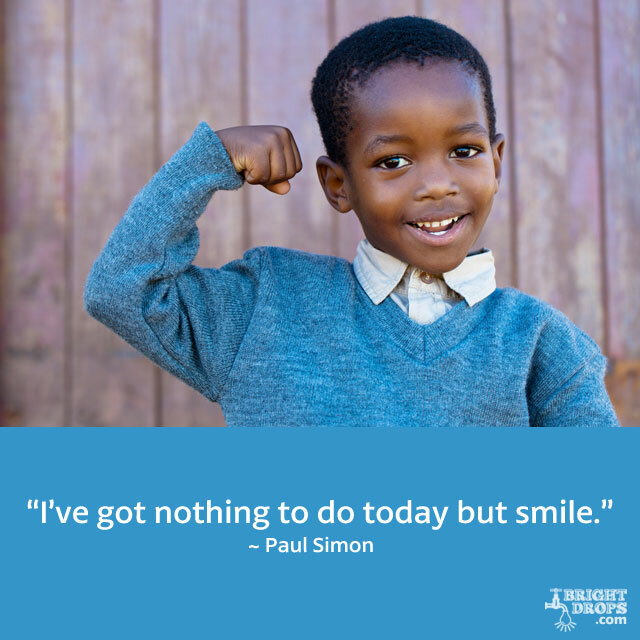 Really your only task today is to smile. Even if things aren’t going exactly how you imagined, you can still put the best spin on them and look forward to what happens next. It’s that state of excited anticipation that is going to bring good things into your life, so try going a full day smiling as much as you can and see what sort of difference this makes in your day, not just that day but the next day as well. 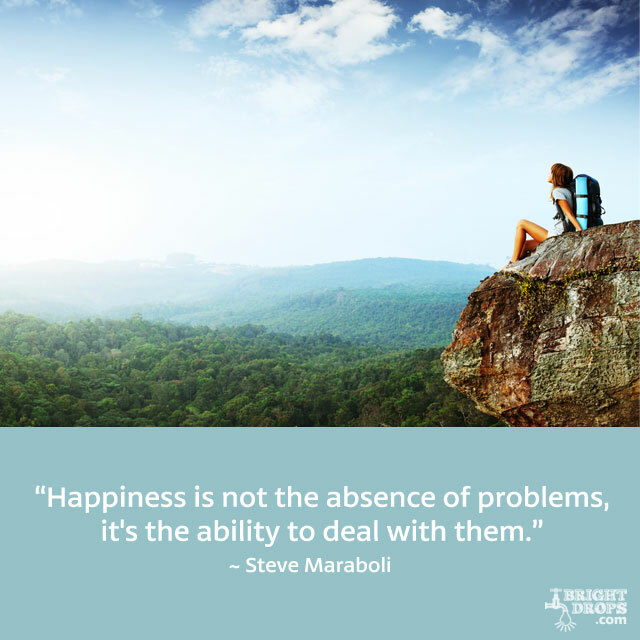 Just because problems present themselves doesn’t mean you have to let them get you down. Instead of wishing your problems away you can simply wish to be able to deal with your problems in a way that doesn’t impede on your happiness. It may sound crazy since most of us are programmed to let problems get the better of us, but they’ll undoubtedly crop up, and if they do it’s not the time to get grumpy, disappointed, or down, it’s the time to get excited about how you’re going to solve it like a pro. It can be a bit unsettling when you start to get really happy, and things start going your way for an extended period of time. You may start to wonder when it will all end and whether you deserve it all. One way to cope with that feeling is to recognize that you can just be happy and not worry about being deserving because we all deserve the best in life, and there’s no reason for your happiness to end just because it’s been a long time since you’ve felt this good. A great, reassuring quote for when times get tough or things aren’t going your way. If you believe that whatever is happening is for your best interests, you’ll have a much better mindset and be able to handle those problems better. Things will always work out of you in the end, so the quicker you can get that mentality the quicker you’ll be presented with evidence that things are moving in the direction that you want. 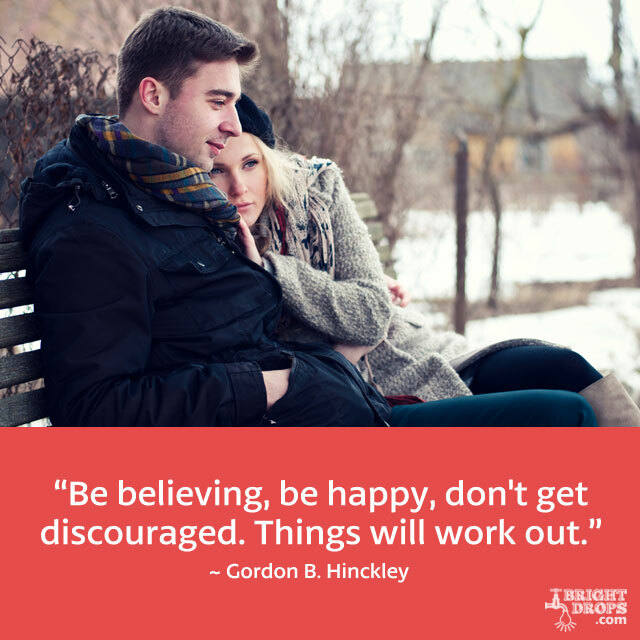 Belief is a powerful ally, and once you have it you’re pretty much guaranteed that things will work out. Allow me chip in a little bit. This is for those that are thinking that they need to be in a relationship to be happy. if you are one of those people then you will be wrong because the happiness you seek is in you. When you are depending on someone or a relationship to be happy, then it means that you are addicted to a relationship and love has nothing to do with it. It just goes to show that you are misinformed about love and this will cause you to make many mistakes. Find love and happiness in you first and you you will be better off and happier this way and in a relationship. BEAUTIFULLY said @Ejike! Thank you!! !